So you’ve managed to escape a possibly brutal winter by heading to the southern hemisphere and taking in some of the Australian culture. Luckily, if you’re heading to Cairns, there’s not really a bad time to go. This area is a favorite beach destination from May through August and the rainforest and waterfalls are phenomenal during the rainy season, which is September through March. Using Cairns as your launch point for your Aussie adventure will lead you to breaktaking outdoor adventures, as well as some culture and history in the city. Here are some ideas on things to do in Cairns, this beautiful Northeast region of Australia. 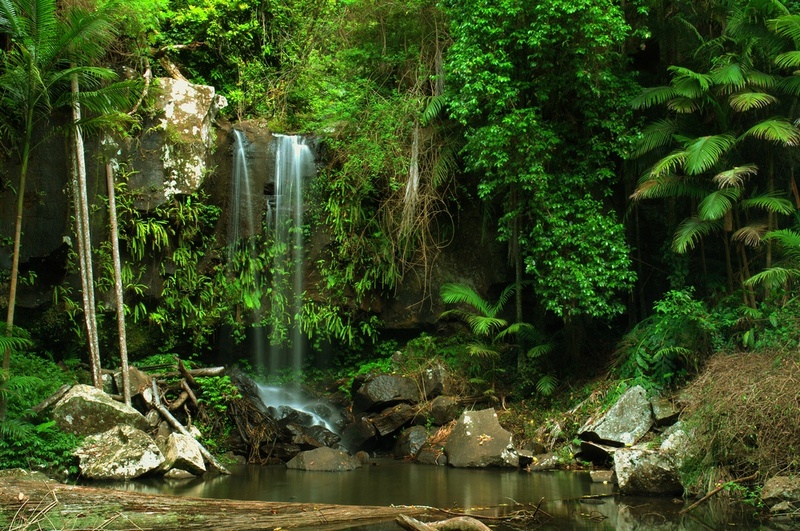 The wilderness doesn’t get any more exotic or alluring than the Wet Tropics of Queensland. A World Heritage area adjacent to the Great Barrier Reef, the Wet Tropics stretches across 300 coastal miles of northern Queensland. With its soft sand, foreboding mangroves, and thick greenery, there is an astounding variety and density of wildlife. This region of picturesque coast as well as twisting rain forest is home to a quarter of the continent’s frogs and reptiles, a third of its mammal species, more than half of its bat and butterfly species, and some 370 species of birds. The most dramatic are the cassowaries, the tall, flightless birds with combs on their heads, and the saltwater crocodiles that lurk along the estuaries and mangroves. In the Daintree Rainforest, considered the jewel of the Wet Tropics, you can indulge in your outdoor fantasies with everything from horseback riding on the beach to sea kayaking to gliding through the forest on zip-lines. Guided walks lead to waterfalls and hidden swimming holes. And when the sun is shining, nothing beats chilling out on the beach. Most of the action takes place around Cape Tribulation, a two-and-a-half-hour drive north of Cairns. Just north of Cape Tribulation, you’ll find the 20-mile Bloomfield Track that continues to the Bloomfield River. It covers spectacular terrain, running through rain forest and along a coast accessible only by four-wheel drive. Consider hiring a guide for this part of your down-under adventure. Along the banks of the Bloomfield River, visitors can take tours led by members of the local Kuku Yalanji Bama tribe. The outings cover 40,000 years of mythology and communal knowledge of the rainforest while sharing stories over billy tea and “damper”, an Australian bread. Going 50 miles south of Cairns, you’ll find Josephine Falls. 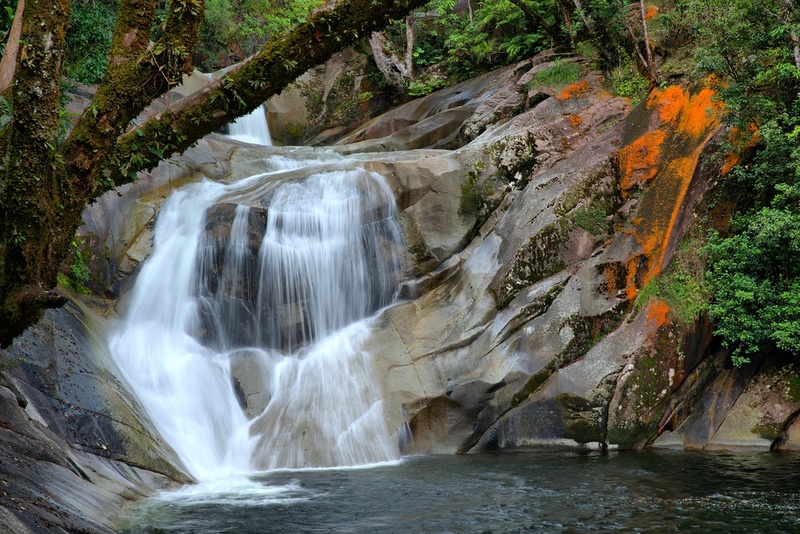 Josephine Falls is the highlight of Wooroonooran National Park. It is a breathtaking multitiered waterfall at the base of Mount Bartle Frere, the highest peak in Queensland and possibly the wettest place in Australia. Just south of the falls is Tully River, the continent’s premier white-water rafting spot, and to the north are the giant Babinda Boulders, which have a special place in Aboriginal mythology. Take a cultural tour of Babinda to hear legendary stories that have been passed down for generations or spend your visit snorkeling in the swimming holes. If you need a break from the outdoor adventures, Cairns hosts many art galleries that will entice you to take a piece of this beauty back home. Bundarra Fine Art Gallery specializes in authentic, contemporary and traditional fine Aboriginal art. Bundarra Gallery partners with indigenous artists and is committed to promoting the work of indigenous artists and creating opportunities for a wider understanding and appreciation of Aboriginal art and culture. 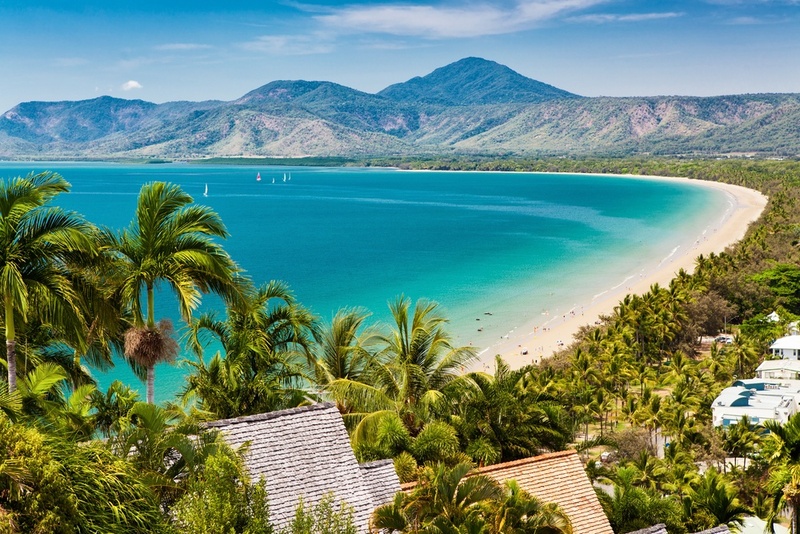 One thing’s for sure during your stay in Cairns Australia, there will be so many options to choose from that you’ll be wishing you had stayed another week!